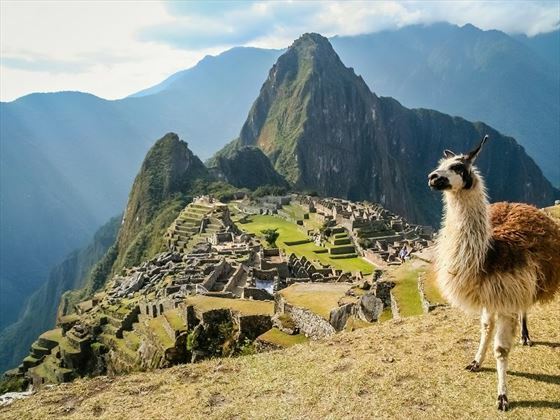 Steeped in colonial history, sensational natural beauty and rural charm, Peru is a wonderful destination for those who wish to fuse adventure and culture together. 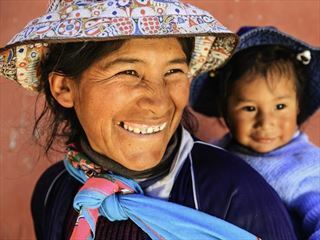 This brilliant 14-night independent tour in this enticing country, sees you travelling from Lima to Cusco before whisking you away to the Amazon. 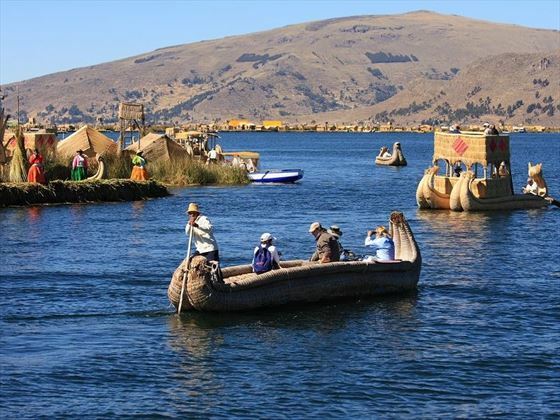 Discovering Peru’s history is one of the main attractions of this exciting journey. Explore convent Santa Catalina, travel to the folkloric capital Puno and enjoy city tours of Lima and Cusco to get a feel for Peru’s fascinating past, while trips to Colca Canyon, Machu Picchu, Lake Titicaca and Aguas Calientes introduces you to the amazing beauty of this place. After your trek around Peru, you’ll embark on an incredible adventure through the Amazon, including exploring the Canopy Tower and Ethnobotanical. A big highlight is seeing colourful parrots and parakeets swooping down to Parrot Clay Lick, as well as a hike along the Ceiba Trail, and a visit to a local farm. Once you’ve arrived in Lima, you will be transferred to your hotel for the night. The rest of the day is free for you to explore as you wish. 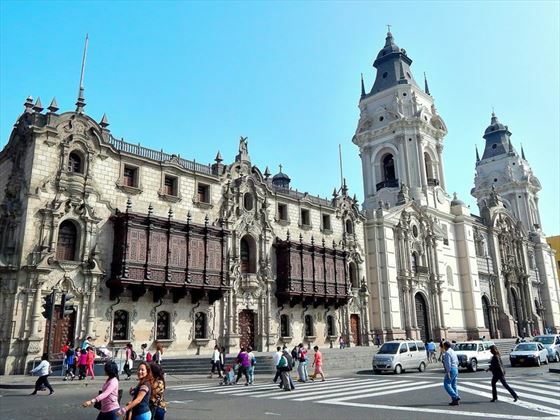 After a leisurely breakfast, you’ll embark on a fantastic city tour that incorporates a plethora of amazing attractions, including Huaca Lucllana, the Central Bank Museums, and gorgeous Colonial architecture such as the Plaza Mayor. Begin your day with breakfast, before being picked up from your hotel ready for your flight to Arequipa. Once there, you’ll visit the fascinating monastery of Santa Catalina, before embarking on a tour around the white city. With architecture created with ashlar – a white or pink volcanic stone – this is a very interesting city indeed. It’s an early start today, getting picked up at 8am for a four-hour bus journey to Colca with plenty of beautiful viewing stops along the way. Once in the charming town of Chivay, you’ll have some spare time to relax before exploring the thermal baths in the afternoon (at an additional charge). There’s even an optional folkloric dinner show to enjoy should you so wish. Your day begins at 5.30am with an early breakfast and a journey to Cruz Del Condor. 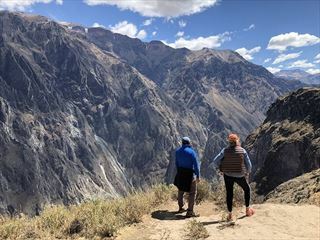 From here, you’ll be treated to phenomenal views of Colca Canyon and hopefully encounter magnificent condors – startling New World vultures that make the canyon their home. You'll enjoy a short walk near the Canyon (approx 1 hour) and afterwards journey back towards Chivay, with lots of stops to characterful local villages. Lunch will be enjoyed back at Chivay, with the remainder of the day to explore the local town or go on a short hike in the surrounding area. After breakfast, transfer to Puno (approx 6 hours). 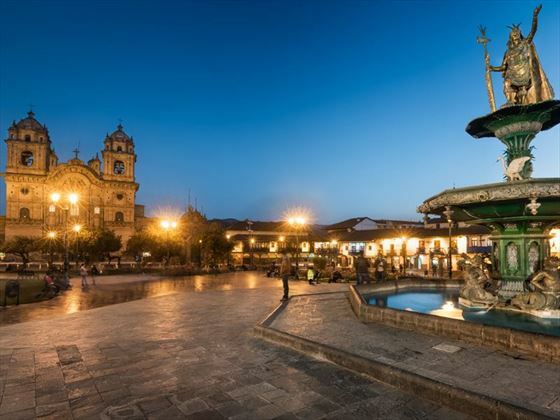 This is Peru’s folklore capital, home to a lovely main street with a myriad of restaurants and shops – we implore that you stick to this main street and not venture elsewhere at night. Though not obligatory, we would suggest buying a gift for your host family later on in the itinerary whilst you’re here – suggestions for gifts include a kilo of rice, a bottle of oil, or a kilo of sugar. Please do not take sweets for the children or money for your host family. Breakfast is between 7am and 8am this morning, before your transfer to the port of Puno where you’ll hop on board a motor boat. 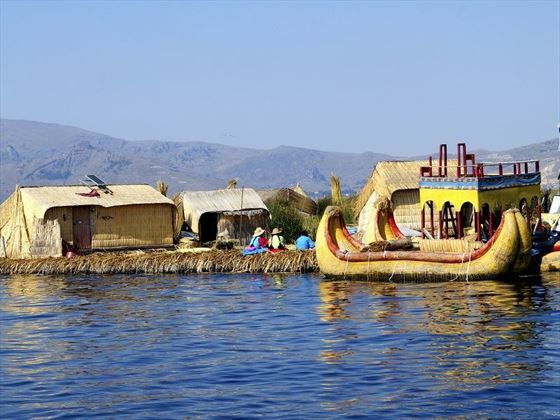 The boat will first take you to the floating Uros Islands, introducing you to two of the tiny islands whilst the guide tells you about their history. You’ll also have the chance to talk to those still living on the islands, as they welcome you to their homes and teach you about their lifestyle. Afterwards, you’ll sail towards Taquile Island, taking two hours. This interesting place is a traditional Quechua speaking community, home to ancient agricultural terraces and pre-Inca ruins. 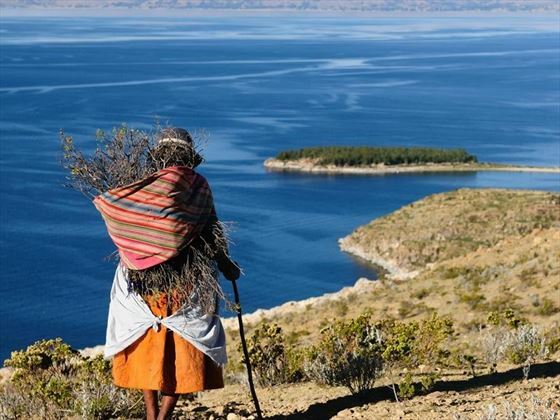 The island offers gorgeous views of Lake Titicaca, adorned with little houses that are inhabited by the direct descendants of the Inca Culture. 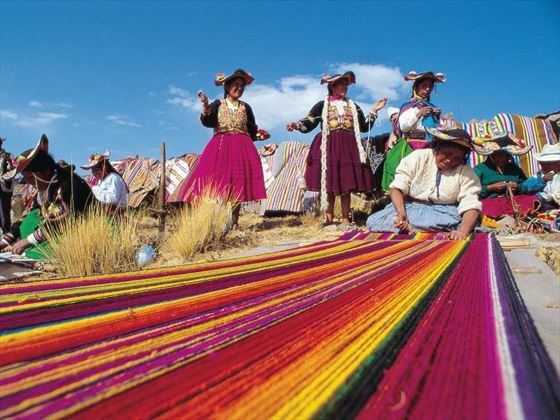 You’ll have spare time to explore the island yourself – perhaps explore the weaving tradition – before returning to Puno. Begin your day with a 7.10am bus to Cusco, a brilliant trip that feels more like a tour than a standard bus route. The bus will stop at four jaw-dropping sites where you’ll embark on interesting guided tours, including Pukara – the oldest ceremonial center of the altiplano, La Raya – the halfway point and also the highest point between Cusco and Puno, Raqchi – a breath-taking temple divided into two naves, and Andahuaylillas – the Sistine chapel of South America and a stunning example of Andean religious art. 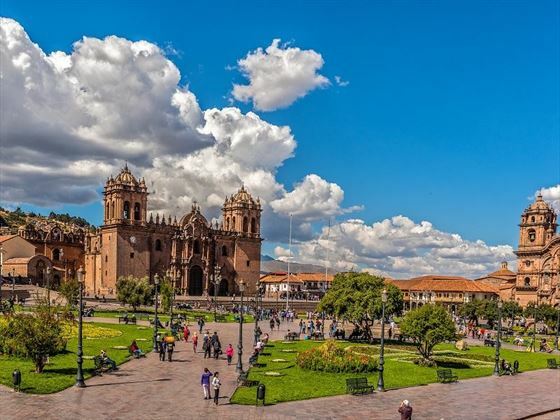 Today you will embark on a half-day city tour of Cusco, including visits to the Cathdral, the Koricancha: Temple of the sun, Q’enqo – a religious centre dedicated to the earth, Puca Pucara – which was once a military control centre, Sacsayhuaman – a beautiful location with impressive stone works, and Tambomachay – a centre focusing on the worship of water. If you don’t fancy a city tour, or you want to enjoy another activity straight after, there’s the option of enjoying a cooking class for an additional cost. 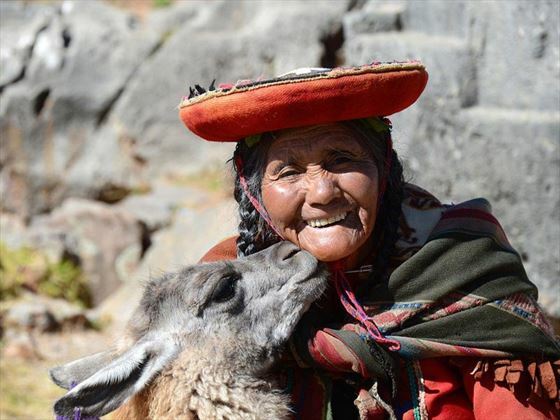 Join Marcelo Batata Culinary Experiences and immerse yourself in the diverse flavours of Peruvian cuisine, enjoying tastings of Andean super food and Pisco (brandy), and cooking up two of Peru’s most well-known dishes: Ceviche and Lomo Saltado with Alpaca. 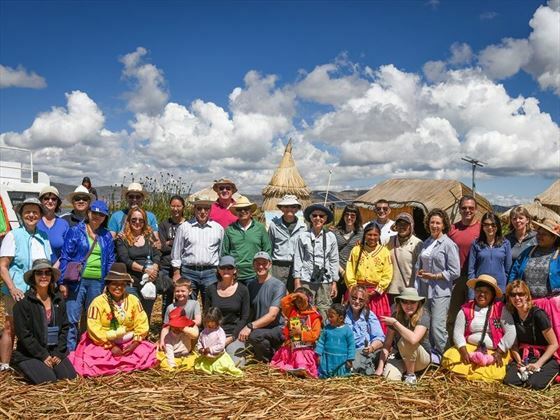 Day 9 will be spent experiencing a full-day tour of the phenomenal Sacred Valley. 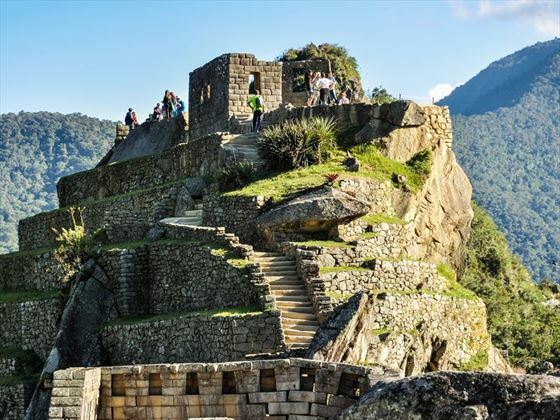 You’ll be picked up from the hotel at 8am, embarking on a fabulous tour that includes discovering Urubamba Valley, exploring the vibrant Indian market in Pisac, visit Yucay town to see its insightful museum, and Ollantaytambo – the oldest occupied town on the American continent. Start the day early with an 8am transfer to the train station. Your train will leave at approximately 11.50am, taking you to Ollantaytambo to visit more of its brilliant archaeological complex and quaint canals that haven’t changed much from the time of the Inca Empire. Your final destination will be Aguas Calientes (Hot Springs Town), where there’ll be some free time for you to relax and enjoy the natural springs. It’s another early start today, enjoying breakfast before being picked up at 5.40am for a bus ride up to the incredible Machu Picchu to catch the sunrise. 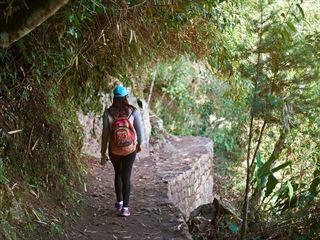 Afterwards, you’ll enjoy a two-hour walking tour with a guide, immersing you in the allure of Machu Picchu before letting you explore the city by yourself. Meet your guide back in Aguas Calientes for lunch (not included), where you will be given your train tickets back to Cusco. The journey back includes a train from Aguas Calientes to Ollantaytambo, followed by a bus to Cusco. Enjoy a heaty breakfast before journeying to Cusco airport for your flight to Puerto Maldonado. Once there, you’ll be transferred to your hotel, where you’ll pack only the necessary gear and leave the rest of your luggage in the safe deposit. 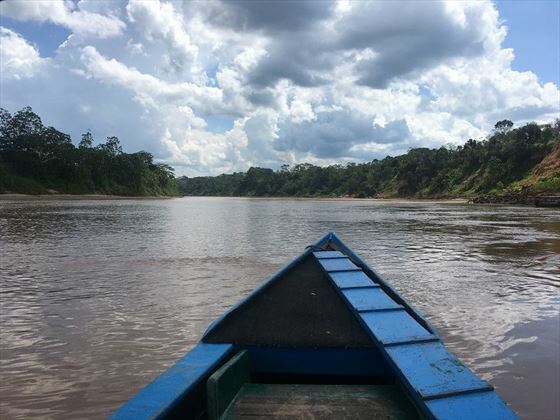 The trip begins with a drive to the Tambopata River Port, which enters the Native Community of Infierno. There’s then a 2 and a half hour boat ride to Refugio Amazonas, into the buffer zone of this 1.3 million hectare conservation unit. Enjoy a dinner in the lodge and afterwards you will have the option of hiking out at night, a brilliant experience where most of the mammals are active but still elusive to the eye. You’re most likely to see a myriad of frogs, whilst listening to the Amazon come alive. A thirty minute walk from Refugio Amazonas leads to the 25 meter scaffolding canopy tower. A banister staircase running through the middle provides safe access to the platforms above. The tower has been built upon high ground, therefore increasing your horizon of the continuous primary forest extending out towards the Tambopata National Reserve. From here views of mixed species canopy flocks as well as toucans, macaws and raptors are likely. This afternoon enjoy lunch before the farm visit just 5 minutes downriver from the lodge, owned and managed by charismatic Don Manuel from the neighboring community of Condenado. He grows a variety of popular and unknown Amazon crops - just about every plant and tree you see serves a purpose. Afterwards, it's the Ethnobotanical Tour, along this trail we will find a variety of plants and trees that are used by the local population, you’ll learn all about the natural history and medicinal uses of the rainforest. After dinner, enjoy a nightly lecture prepared by the staff of Refugio Amazonas, covering conservation threats, opportunities and projects in the Tambopata National Reserve. After breakfast this morning head fifteen-minutes down river and walk for an hour to the clay lick used both by parrots and parakeets. You will see parrots and parakeets descend on most clear days to ingest the clay on a bank. Species such as Dusky headed and Cobalt winged Parakeet descend at this clay lick. With luck we will also see some or all of the following species in the early morning rush: Mealy and Yellow-crowned Amazons, Blue-headed Pionus, Severe macaw and Orange-cheeled (Barraband`s) Parrot. After lunch head to the Brazil Nut Trail and Camp a beautiful old growth patch of Brazil Nut forest that has been harvested for decades (if not centuries) where the precarious remains of a camp used two months a year by Brazil Nut gatherers can still be experienced. We will be demonstrating the whole process of the rain forest's only sustainably harvested product from collection through transportation to drying. Take the boat transfer from Posada Amazonas back to Tambopata River Port ready for your transfer to the airport. Fly back to Lima ready for your onwards flight. Activities: City tour of Santa Catalina Convent, entrance fee to Colca Canon, boat trip to Uros Island, Taquile Island and Luquina, entrance fee to Uros and Taquile Islands, entrance fees to Koricancha and Cusco Cathedral, salt mines in Maras, Sacred Valley Tour, return tickets for Expedition Train from Ollantaytambo to Aguas Calientes, entrance fee to Machu Picchu city and Waynapicchu Mountain, Canopy Tower, Ethnobotanical, Amazon night walk, Parrot Clay Lick, Ceiba Trail Hike, Infierno farm visit.